Born in Honolulu, December 2, 1881, George Paul Cooke was grandson of missionaries Amos Starr and Juliette Montague Cooke and son of Charles Montague Cooke and Anna Charlotte (Rice) Cooke. After preliminary schooling in Honolulu and at Hotchkiss in Lakeville CT, Cooke attended Yale University (his roommate was Sophie’s brother, Charles S Judd Sr.) He received his BA degree in 1905, returning to Honolulu to take the position of stock and bond clerk for the Hawaiian Trust Co, Ltd, continuing with that institution until 1908. In 1897, a group of Honolulu businessmen (including Judge Alfred S Hartwell, Alfred W Carter, and AD McClellan) purchased 70,000 acres from the trustees of the Bishop Estate and leased another 30,000 acres from the Hawaiian government. 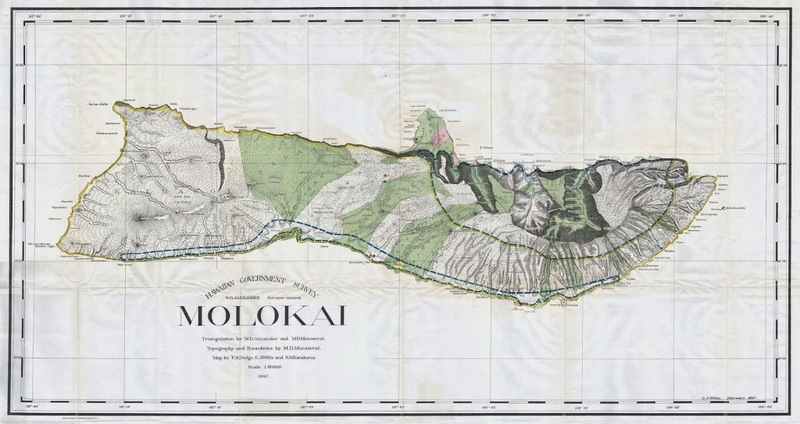 Molokai Ranch was formed. At that time, American Sugar Company began sugar cane production on the lands. Cooke became bookkeeper for the American Sugar and Molokai Ranch. About 10-years later (December 1908,) the land was bought out by Cooke and his father; George Cooke took over the operation; George, Sophie and daughter Dora moved into the former manager’s house, composed of ‘three plantation houses put together’. “The development of this property as a sugar cane plantation failed for the reason that the pumps, which had been installed in surface wells to irrigate the cane fields, were of such large capacity that they soon exhausted the sweet water, and pumped water with such a high salt content that it could not be used for cane culture.” (Cooke) The sugar plantation was abandoned. They raised cattle, planted sweet potato and wheat crops and produced honey. 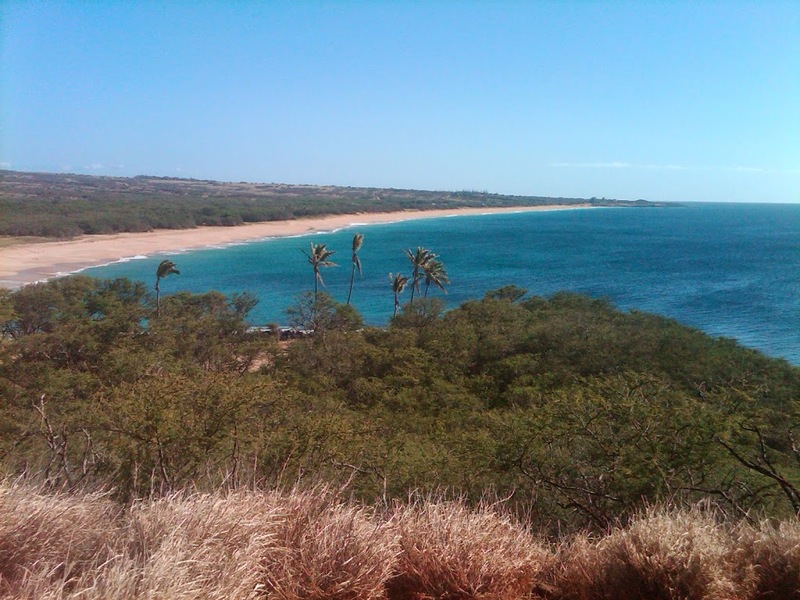 It became the second largest cattle ranch in Hawaiʻi and a major producer of beef. It was a small school, from kindergarten through sixth grade where all the children cooperated as in a large family; it’s in the same location on the corner of Nehoa and Makiki Streets. Cooke was first in the movement to make the island of Molokai a source of food supply for Honolulu. He established a model dairy ranch at Mapulehu, Molokai, in 1920, and constructed the “Leleiona” and later the “Pualele,” motor propelled sampans, to make deliveries of crops and milk to Honolulu, proving beyond question his theory that such an undertaking was feasible. He also encouraged research into water resource development and management, geological knowledge and the cataloguing of native and exotic plants, all with an eye to finding crops that would improve the economy of Molokai. Some suggest the killing related to water, the day before he died, Conant had finished the 6-million gallon Kawela Intake water system, moving water to West Molokai, 20-miles away; others suggest it related to the suspension of open deer hunting on the ranch. Further investigation of Conant’s death failed to develop anything but a mass of conflicting rumors, and the case was dropped. The matter remains unsolved. Robert Wayne Kapuaʻalaonaona Conant b: 25 May 1884; John Neal Kaleaaloha Kukele Conant b: 30 Jun 1886; Ellsworth Thomas Kailipoloahilani Conant b: 12 Feb 1888; Lena Annett Kaualani Nawaiwawae Conant b: 22 Feb 1889; Elmer William Nahinu Conant b: May 1891; Nellie Kahululani Pahapuokalani Conant b: 30 Jun 1893; Fred Blakeslee Ku’uhaealoha Kukapu Conant b: 17 Nov 1895 and Raymond Kueilipoilani Conant b: 25 Jun 1901. In 1892, Conant was noted as manager and bookkeeper of Waimea Sugar Mill Company. In 1899, the ʻEleʻele Plantation, McBryde Estate and Koloa Agricultural Company merged to create the McBryde Sugar Company. Conant was its first Manager. He also was Postmaster (the post office was at the McBryde plantation office,) as well as tax assessor and collector. But he seemed to focus on sugar. Hans Peter Faye, of Kekaha, Kauai, whose properties there were leased from the government and were subject to withdrawal for homestead purposes, submitted a proposal to the Molokai Ranch Directors to lease land on Molokai for a sugar plantation. The Directors accepted his proposal. Faye engaged the services of Conant to develop water for the plantation. It was decided by the Directors that Molokai Ranch would not only lease the land but would pay for the expense of the water development and Mr. Conant’s salary. For the next three years, 1919 to 1921 inclusive, Conant prospected for well-water at various sites, beginning at Palaʻau and progressing eastward. At about that time, James Munro, manager of the Molokai Ranch, resigned and Conant was appointed acting manager of the ranch.